I was pretty hungry when I got to Seoul this past weekend, so we decided to stop for some chicken and beer (which is a surprisingly popular combination in Korea). Anyway, the place we were at had one of the best inventions ever. 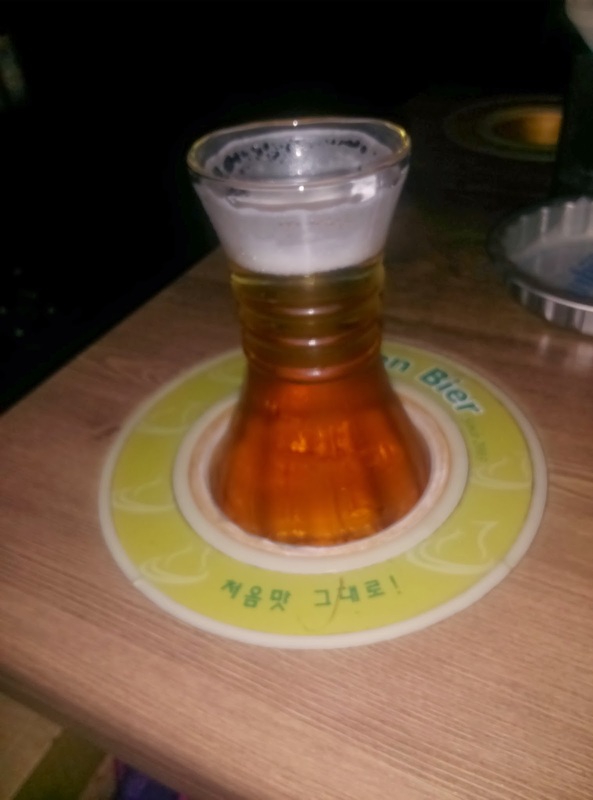 Above you can see a picture of my beer in what is a cup holder built into the table. Now, don't be fooled--it's not just an ordinary cup holder. This particular cup holder can be turned on with a switch, at which point it becomes really cold and acts as a refrigerator for your beer. And just like that, your beer stays cold until the very end. If that isn't brilliant, I don't know what is. Well done, Korea. When home starts to feel far away.